He also paid tribute to Vijay Soren, a Jharkhand native who was martyred in the attack. Prime Minister Narendra Modi on Sunday said that the nation will have to take care of the dependents of the martyrs of the Pulwama terror attack. He also paid tribute to Vijay Soren, a Jharkhand native who was martyred in the attack. “As an indebted nation and as a guardian, we have to take care of the family members and the children of the martyrs,” he said. “I again pay my respects to Shahid Vijay Soren, the brave son of this land. I bow to his family from the bottom of my heart. His children are bravely confronting this terrible period,” he said. 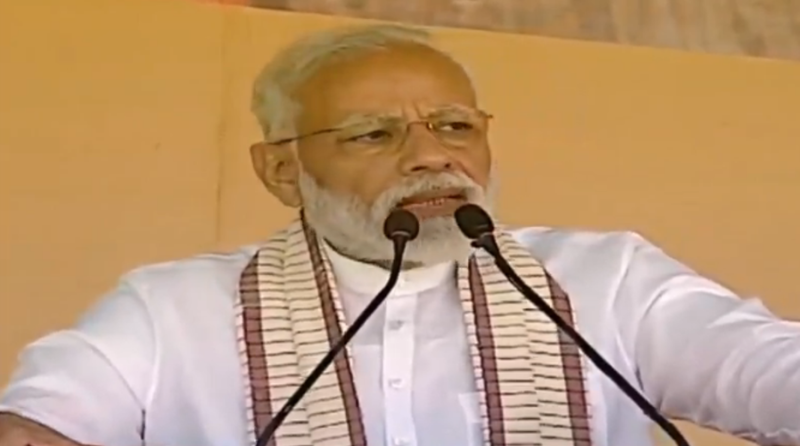 Addressing a gathering at Hazaribagh, where the PM laid the foundation stone for 2,718 piped water supply schemes, the PM said that around 57,000 people in Jharkhand have been benefitted from the Ayushman Bharat Yojna. Underlining the opening of a tribal community and a tribal studies centre at the Hazaribagh-based Acharya Vinoba Bhave University, the PM said that Eklavya model schools are being opened across the country. “Around two dozen schools have been opened and 70 new schools are in the process of being opened,” he said. The PM also handed keys of houses to beneficiaries under Prime Minister’s Housing Scheme in Hazaribagh. Earlier today, the PM launched development projects worth Rs 33,000 crore in Bihar’s Barauni including those that will help turn Patna into a smart city and the industrial development of Bihar.